Super modelo LUCIA-FRANCIS-PUMA: Colección de gafas clásicas. - Designed For Fall 2010 Season, Lucia Francis Puma Is One Of The Most Exuberant, Yet Elegantly Simple Silhouettes. 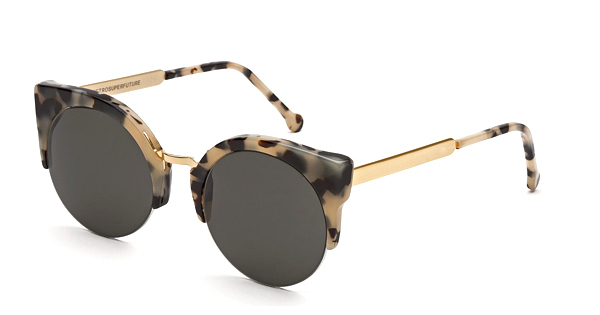 Characterized By A Delicately Balanced Combination Of Materials And Finishings, Lucia Francis Puma Features A Soft Grey And Black Puma Acetate Matched With Rich Golden Detailing For The Arms And Nose Bridge. Lucia Francis Puma Sports Lenses By Zeiss In Black.